Wireless WiFi signal booster is designed to conveniently extend the coverage and improve the signal strength of an existing wireless network to eliminate dead zones. 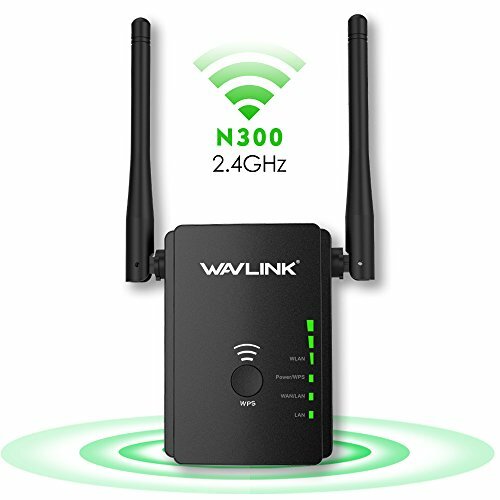 With 300Mbps wireless-N speeds,extending a wireless network has never been so easier. And the ethernet port allows the repeater to act as a wireless adapter to turn a wired devices into a wireless one. Built-in 2 x Antennas,delivering WiFi up to 300Mbps. Resolve the problem with a weak signal in an excellent manner. With Wifi Range Extender function,watching HD video or movie in bedroom or garden will not be a big problem any more. -The passwords of your repeater are as same as your router's.